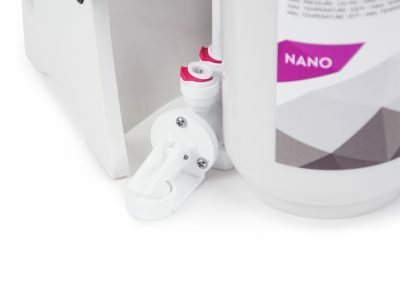 You have a domestic kitchen filter, but You do not have protection against possibility of flooding during the system’s failure? 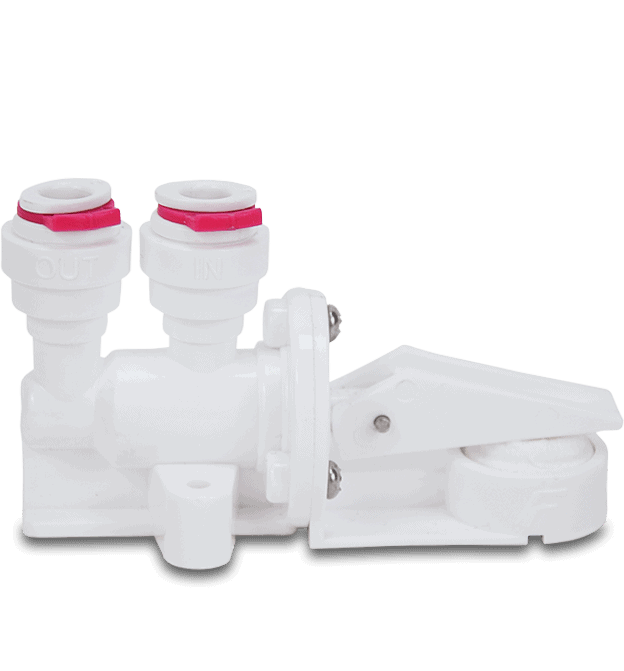 You are looking for an effective anti-flooding system that will work without power? 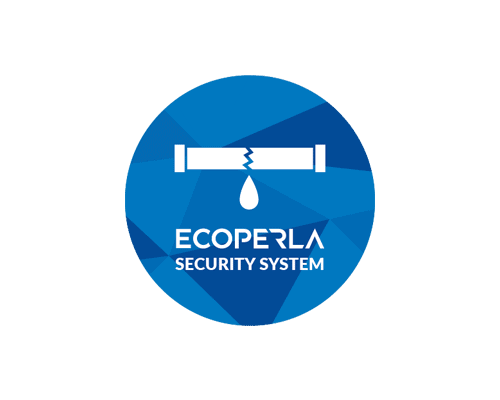 Ecoperla Security System provides the best protection against flooding of cabinets and kitchen surfaces during breakdowns due to leakage or improper connection of the water filter. No electricity is required. 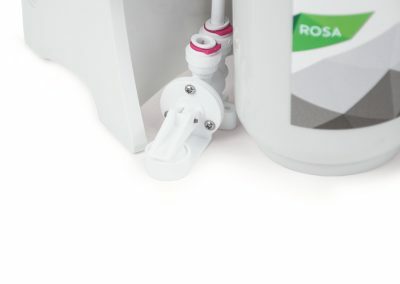 Ecoperla Security System is a professionl anti-flooding system installed in kitchen Ecoperla filters -such as – reversed osmosis Ecoperla Rosa and nano filtration Ecoperla Nano. 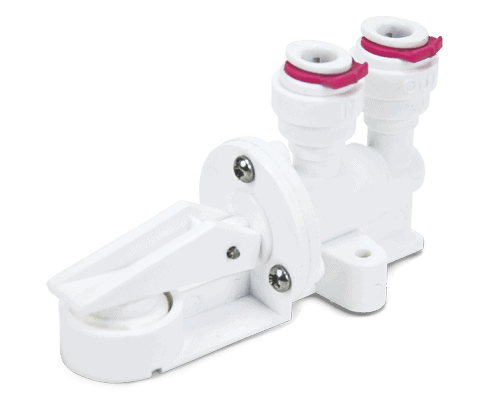 It can be installed in all standard kitchen filtration systems. 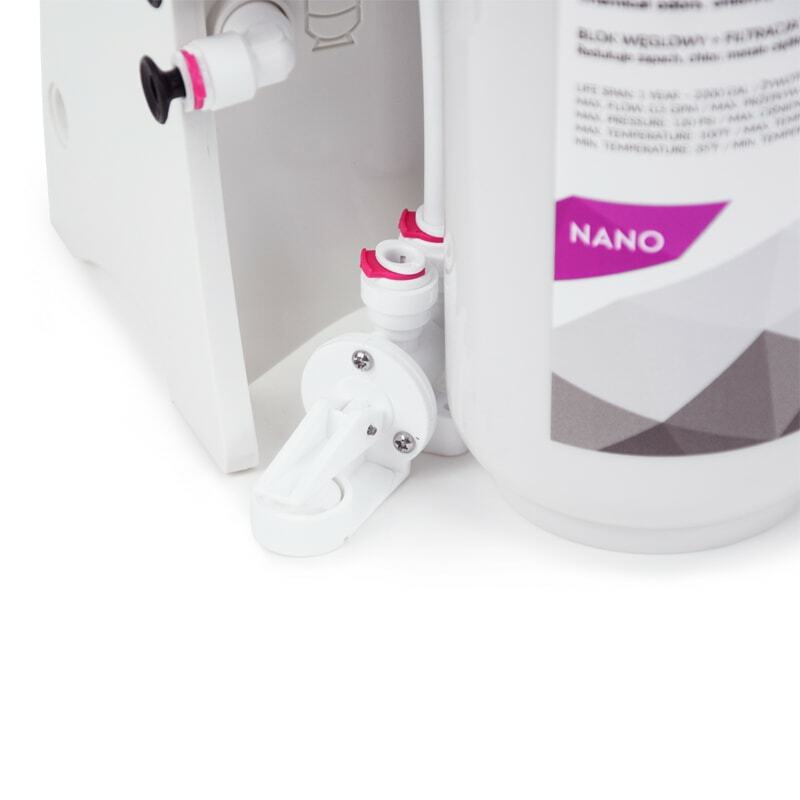 After leakage detection it reacts instantly without the need for power. Correctly installed sponge is responsible for the rapid operation of the system. When in cabinet or other place where the system is installed appears leakage the sponge absorbs the water and the element expands. The water supply to the system is cut off preventing any further flooding. 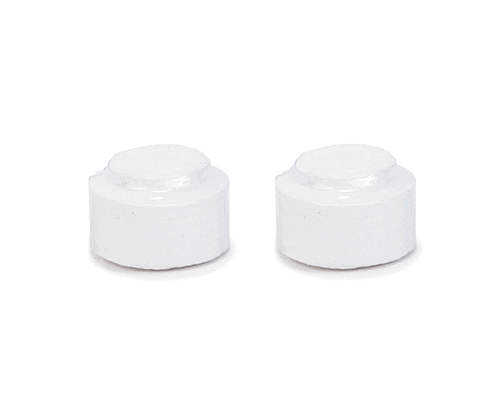 Sponges for the Ecoperla Security system can be easily replaced. The total cost of system’s operation is zero. 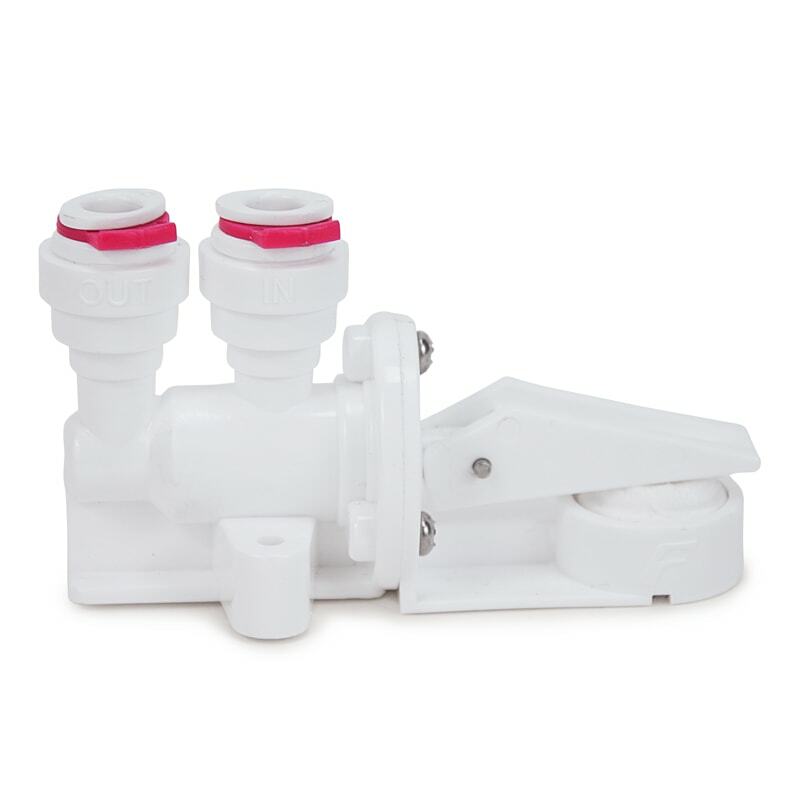 The Ecoperla Security anti-flooding system is available in two variants – 1/4 “and 3/8” flexible tubing. 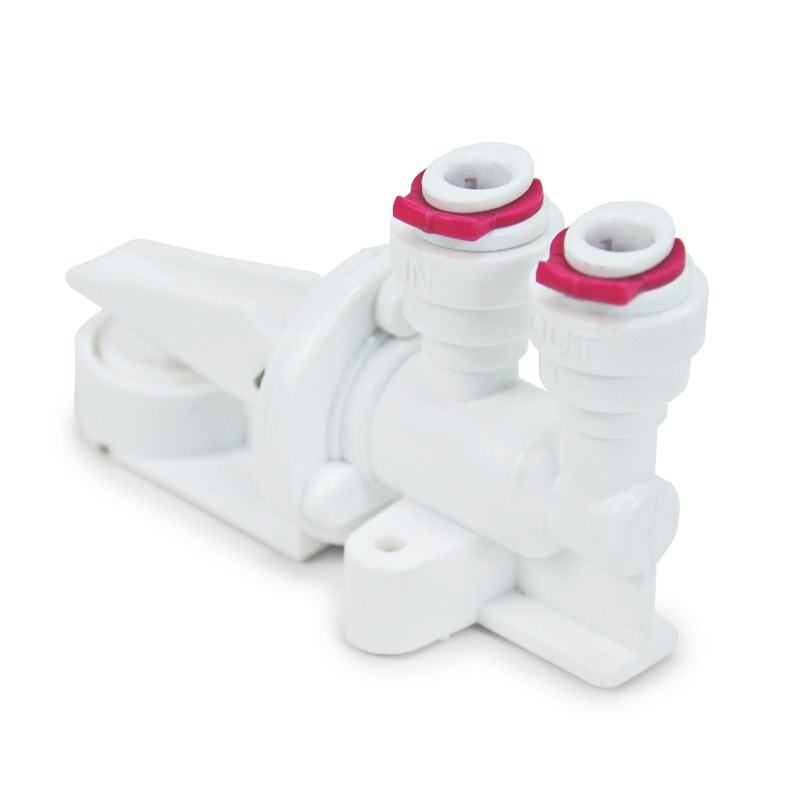 Inverted osmosis usually has connections for 1/4 “hoses. Ecoperla Security has two QC connectors (quick connect). This makes the entire assembly process very quick and easy. 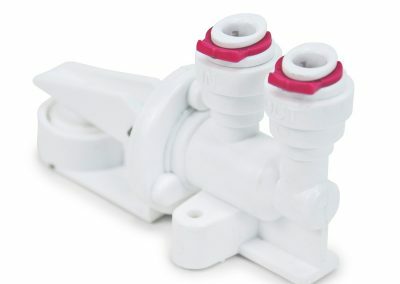 Just remove the red pins and connect two flexible hoses. 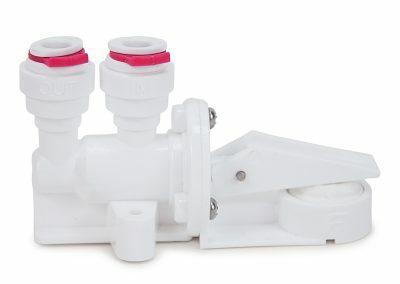 The hose that supplies the raw water should be connected to the “IN” connector. 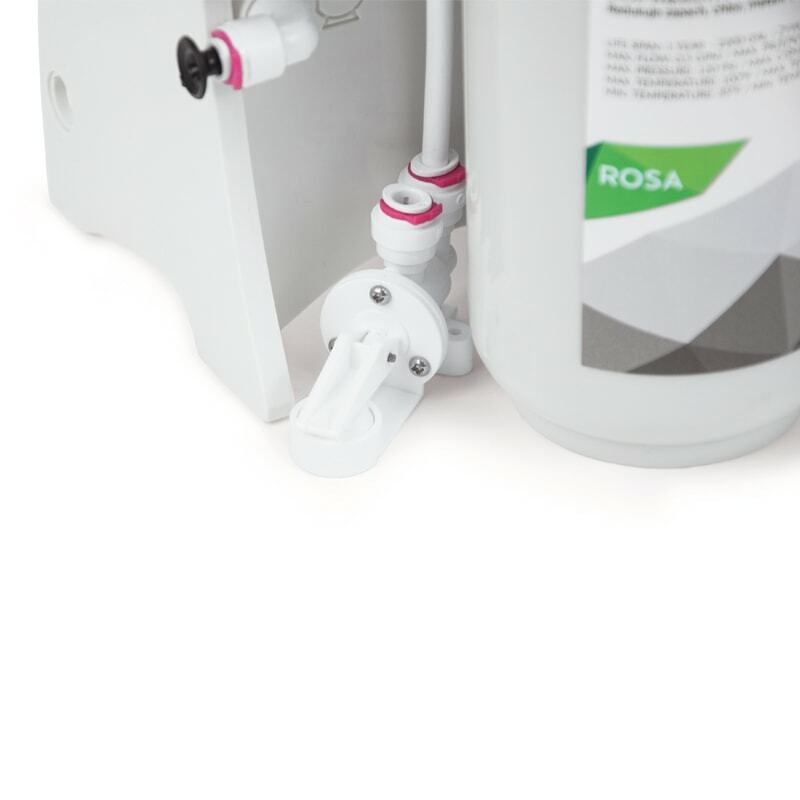 The hose that goes to the filter should be inserted into the “OUT” output. The system kit includes a piece of double-sided tape that allows the system to be glued to the ground. Yes, the whole element is still. The product description in the nutshell in other words everything that you need to know before purchase of anti-flooding Ecoperla Security System. Practical information and technical data about anti-flooding Ecoperla Security System. User’s manual for anti-flooding Ecoperla Security System including all the information about the installation.